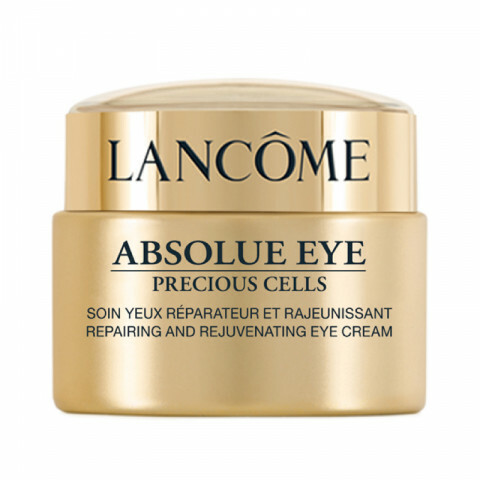 Absolue Eye Precious Cells Visibly Repairing and Rejuvenating Cream contains a powerful combination of ingredients including Pro-Xylane™. This formula has been shown to hydrate skin. Skin feels denser. The eye area appears repaired and looks visibly rejuvenated. Absolutely obsessed with this eye cream! My under eyes are normally very dry, but this cream does the trick and keeps them moisturized and hydrated. Would definitely recommend! I have notice a difference in my dark circles and fine lines. I have not noticed any reduction in my dark circles or puffiness after two months of use. Best eye cream I've used to date. I love that they give you step by step how to put it on. It is thick so I try and let it sit before I put makeup on, but I can tell a difference using just a small amount each night and morning. I absolutely LOVE this eye cream. I've tried many other eye creams for my fine lines/wrinkles and this has been by far the best eye cream that I've tried. I got this as a sample a while back and I saw results in just 3 days. I definitely recommend this. I was hesitant to try this eye cream because of some negative reviews on other sites but I'm SO glad I did. I'm 24 years old and am starting to get very fine lines around my eyes. I've tried anti-aging products that irritated my eyes and hydrating products but nothing seemed to do the trick until this. My under eyes are very moisturized and the fine lines have virtually disappeared after just 2 weeks of use. I highly recommend this!